樋渡宏一 菅井俊郎 1978. 特殊な染色体. 田中信徳(編) 新しい細胞遺伝学 (初版) 朝倉書店 40-68. Painter 1934. Salivary chromosomes and the attack on the genes. Journal of Heredity 25:465-476. Bridges 1935. Salivary chromosome maps. Journal of Heredity 26:60-64. Gay 1956. Chromosome-nuclear membrane-cytoplasmic interrelations in Drosophila. The Journal of Biophysical and Biochemical Cytology 2:407-414. Painter 1933. 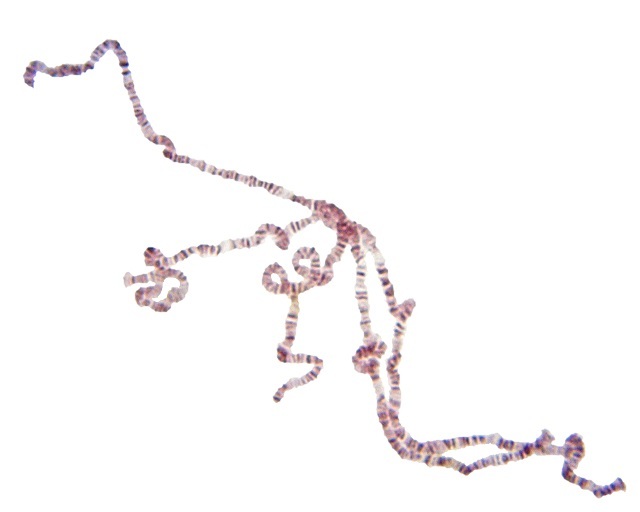 A new method for the study of chromosome rearrangements and the plotting of chromosome maps. Science 78:585-586. Painter 1934. A new method for the study of chromosome aberrations and the plotting of chromosome maps in Drosophila melanogaster. Genetics 19:175-188.